I was born in 1975 in The Netherlands. I have loved animals all of my life and wanted to be a veterinarian since I was a little child. After graduating from high school I was accepted at the University of Veterinary Medicine. However, I became aware of the possibility to study Animal Science at Wageningen University, which is an internationally recognized agricultural research center. What attracted me to this program was a focus on keeping animals healthy rather than focusing primarily on curing disease. So I spent five years at Wageningen University specializing in the health, reproduction, epidemiology, welfare, housing and genetics of dairy cows, graduating with a Master of Science degree. After graduation I started working as a scientific researcher in dairy farming at an applied research facility (Wageningen UR Livestock Research). Eventually I was given the opportunity to facilitate new projects together with farmers that were pioneers in the fields of bedded pack barns, grazing management and family herds (these links are to Dutch websites that illustrate my latest work in those fields). 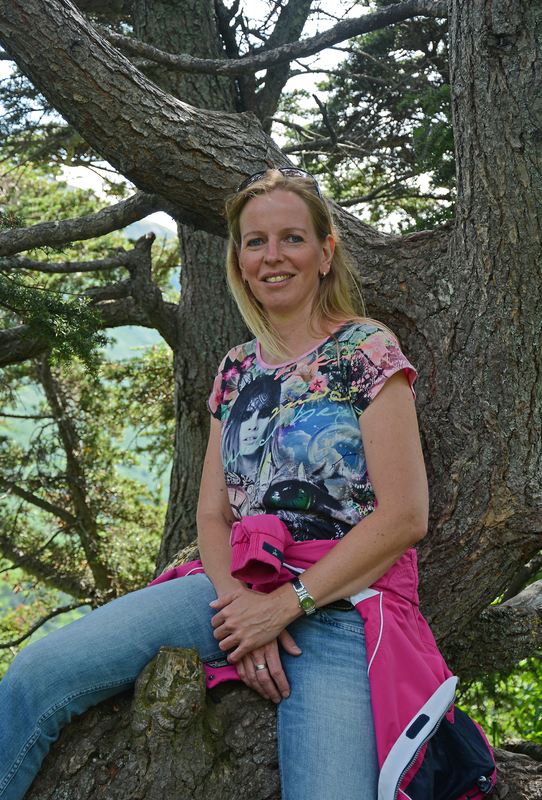 If you are interested in the work that I have done as a researcher, click here for a full list of my publications (most are in Dutch, some scientific ones are in English). 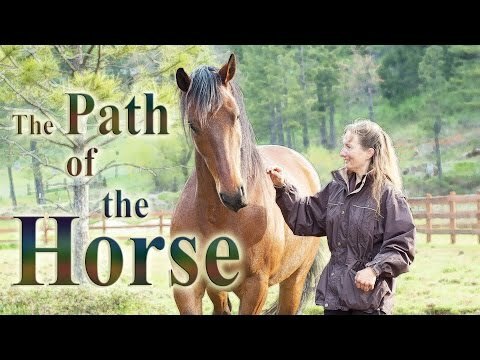 In 2007 my life changed when I attended a weekend workshop on Animal Communication. I became aware that I was able to talk and listen to animals! I attended more workshops and read many books about it and practiced a lot to improve my abilities and confidence. As my confidence improved, I was able to receive more and more accurate information from the animals. A logical step followed when I did a one year class on Flower Essences with Bram Zaalberg from Bloesemremedies Nederland (2008-2009). Working with Flower Essences is a great way to help animals with their problems and the issues behind them. After that I did a two year program (2011-2013) on Schussler cell salts which support the physical body. I continue to attend certain workshops and seminars to get a better understanding of life. I became a Reconnective Healing Practitioner in 2011 and did the renewal in 2015 to become a Foundational Practitioner. So a lot happened in just a few years! In 2012 I got so busy with my consultations that I had to cut back on my work as a researcher. People would ask me sometimes how I combined my work as a researcher with my work in the ‘intuitive field’. For me it was easy and a great opportunity to connect both worlds, because I noticed a lot of interest on both sides. I got to know dairy farmers that wanted to learn to talk to their cows, farmers that wanted to learn how to work with energy, how to space clear a barn, and so on. Some of my research colleagues approached me about the possibilities of intuitive animal communication. It was great to connect both worlds together! And working in both fields always kept me grounded and practical. Connecting both worlds led for instance to developing the Animal Lover’s Kit together with my husband Steve from Alaskan Essences, the main idea for this kit was that dairy farmers can use it to support a cow during all events from birth to death. Another great event was the Farmers’ Day in 2013 with author and spiritual teacher Michael Roads. That day he taught about the metaphysical world behind farming, land and animals. A great day with farmers and people working in agriculture learning about the effect of our handling at an energetic level. I also got the opportunity to give lectures to farmers about animal communication and talking and listening to their cows. A great opportunity to bring awareness in that field. But to be honest, yes sometimes it was a bit challenging to still work in the scientific world. Sometimes I would already know something from the animals, but it still had to be proven by science. For example, what is the best way to rear a newborn dairy calf? It would only take one minute to ask the calf or cow, but science takes more time to come up with an answer. And I understand that and it is okay. It is important to realize that science does not have the tools yet to measure things at energy level / metaphysical level or to measure the feelings of animals. For me it is important to move on with what feels good to us and what we see happening as miracles, isn’t it? I am so glad that Reconnective Healing is being investigated by scientists at the moment! In April 2015 I left The Netherlands and moved to Montana, USA, to be with my partner Steve Johnson. We both share the passion for flower essences and every summer I’m with him in Alaska to make essences and assist in his practitioner training. The rest of the year we live in the beautiful Bitterroot Valley in Western Montana. My Friesian horse Rixt came along with me, she was 18 at that time. In September 2015 I started to work here as an Animal Communicator, Flower Essence Therapist and Reconnective Healing Foundational Practitioner for people and animals. I do my work internationally which means I still work with people and animals in The Netherlands, but also have clients from other countries. My passion is to help people and animals live easier and happier lives. Reconnective Healing and Flower Essences are here for us to help us feel more in balance on all levels (spiritual, mental, emotional and physical). I would love to help you with that and this work is not ‘work’ for me, it’s my joy!